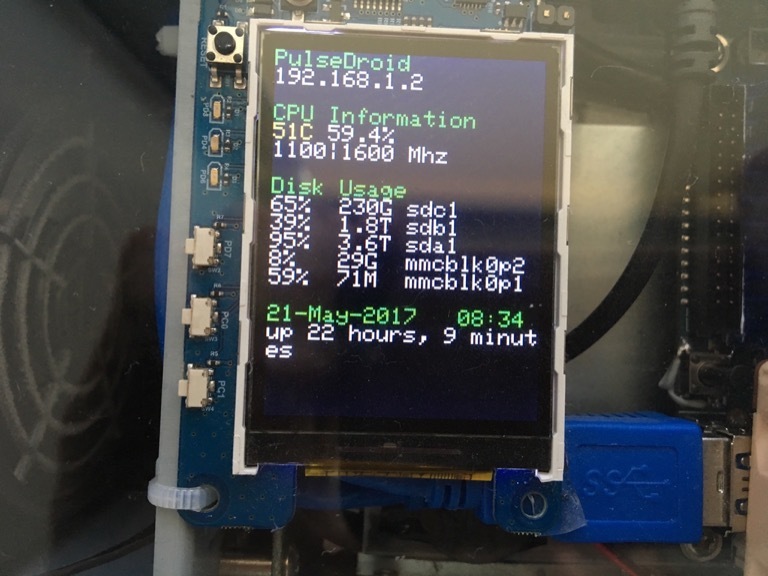 I've created the original OdroidXU4 system status script to display system info on the Odroid Show2 module. That script worked great for me all this time, but now that I've added a new hard disk to the server, it couldn't fit everything in. So, I decided to tweak it to use portrait mode to display data. The layout is slightly different from the original, but it shows the same information and fits everything better. There are more vertical lines of text available so extra hard drives should not be a huge problem (with 2 empty lines available to fill still). The script is available from GitHub here: https://github.com/ikromin/misc/tree/master/dietpi/odroid_show2.